Frankfurt Zoo is not only one of the most popular zoos in Germany, it also has one of the most beautiful aquariums. However, the aquarium is not as well known as the zoo. In order to promote this special attraction to visitors, the zoo magazine featured a print ad with QR code and a detachable piece of plastic film. 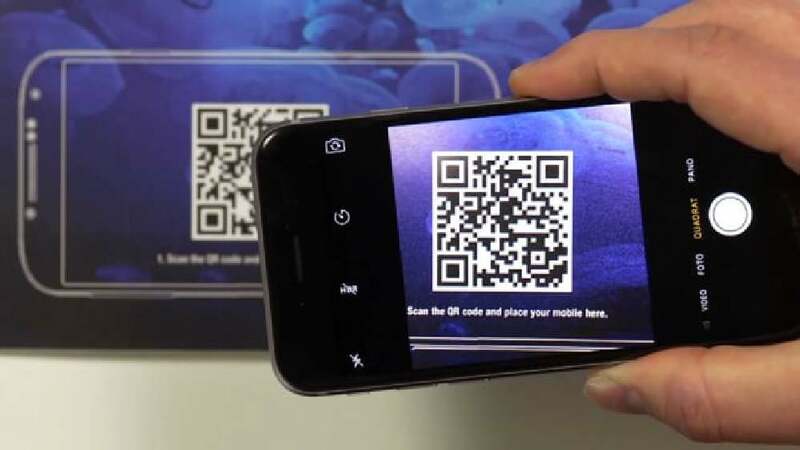 The aim was to invite readers to scan the QR code with their smartphones, bend and fold the plastic film into a pyramid and place it onto the display of their smartphone. The QR code is then read by the phone and takes people to a specially produced four-part video. When started, the plastic film reflects the projection to create a three-dimensional image of the fascinating underwater world, a virtual mini-aquarium – the Holoquarium. It shows jellyfish, sea horses and turtles swimming in the aquarium, giving viewers a vivid impression of what to expect and experience when actually visiting the aquarium. The Holoquarium awakens the childlike wonder of the creatures of the deep sea and creates awareness of the fantastic aquarium of the Frankfurt Zoo. Using 3D projections on a transparent film pyramid placed on the screen of a smartphone, the inhabitants of the aquarium magically seem to swim in front of the viewer’s eyes, hovering millimetres above the smartphone screen – a brilliant illustration of the power of interactivity.